I can't leave her alone anymore because she loves to stand up more that I am afraid she will let go and fall. 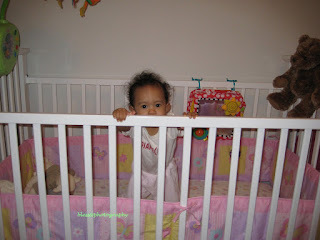 Also everytime I put her in her crib she will end up standing up and calling me. If she don't see me she will cry. Inside her crib. I need to take off the mobile because she is trying to reach out into it.